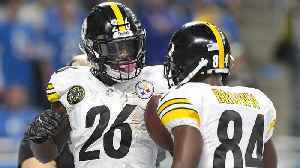 ▶ Videos for "Le’Veon Bell"
The Steel Curtain seems a little shaky these days with the loss of Le’Veon and Antonio Brown. 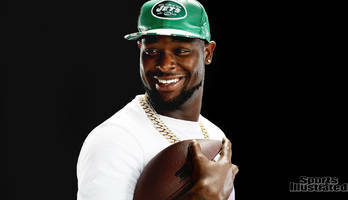 And just like any good break up, both players are telling us how they really feel about their ex team the..
New Jets running back Le'Veon Bell sat down with Jenny Vrentas of the MMQB for an exclusive interview about why he picked the Jets, what went wrong in Pittsburgh, and finding happiness. 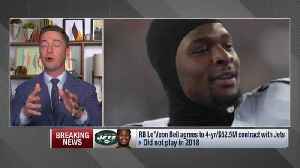 In an exclusive video interview, newly-signed Jets running back Le'Veon Bell tells SI TV that he originally planned to report to the Steelers after Week 1 of the 2018 season. 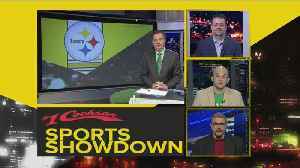 Hear him explain what..
Watch as Josh Yohe, Chris Mueller and Paul Zeise join KDKA-TV’s Bob Pompeani for another round of sound on this edition of the #1 Cochran Sports Showdown! 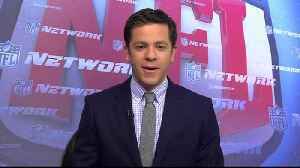 NFL Network's Gregg Rosenthal explains why the New York Jets got a 'bargain' deal with their signing of running back Le'Veon Bell. Le'Veon Bell 'back in the green,' getting $52.5 million deal from Jets. 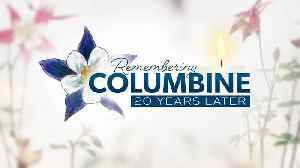 Brad Galli has more. 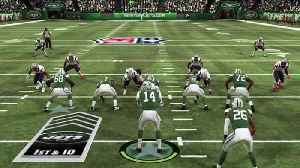 Take a first look at running back Le'Veon Bell on New York Jets in "Madden NFL 19." Tuesday was a big day in the NFL as we are looking to see a huge shift in the power rankings. t|Two of the nfl's biggest names are headed to two of the worst teams in the nfl. 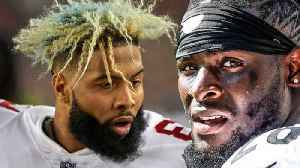 Odell Beckham Jr to the..
What Precedent Did Antonio Brown and Le'Veon Bell Set for NFL Players? Both Antonio Brown and Le’Veon Bell seemingly forced their way out of Pittsburgh. 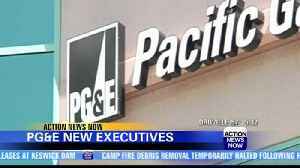 Will more NFL players follow in their footsteps and take more control of their future? The MMQB's Jonathan Jones.. Le'Veon Bell sat out the entire 2018 NFL season as he waited for his next payday. But after signing a four-year, $52 million deal with the New York Jets, did Bell's holdout pay off? 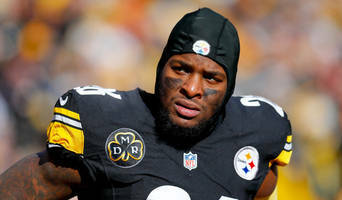 It took a year-long holdout, and alienating many of his Steelers teammates, and enduring the experience of having his role comfortably usurped by another dirt-cheap replacement, but Le’Veon Bell has..
Le’Veon Bell held out as long as possible but it now seems he will sign with the New York Jets. 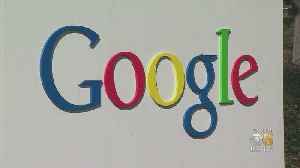 According to Business Insider, Bell’s deal is reportedly worth $52.5 million over four years. 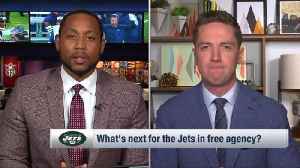 This..
NFL Network's Tom Pelissero discusses what is next for the New York Jets after the running back Le'Veon Bell deal. 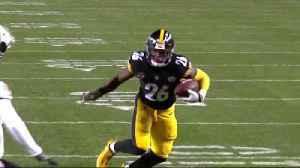 NFL Network's Tom Pelissero explains what running back Le'Veon Bell deal does for other free agent running backs. 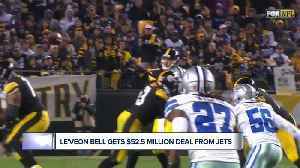 NFL Network's Tom Pelissero breaks down how the New York Jets made the deal with running back Le'Veon Bell happen. 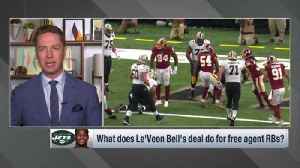 NFL Network Insider Ian Rapoport discusses how the New York Jets were the only offer running back Le'Veon Bell considered taking. 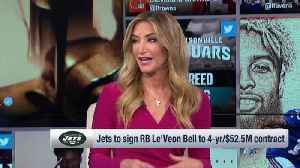 NFL Network's Tom Pelissero discusses how the New York Jets might use running back Le'Veon Bell. 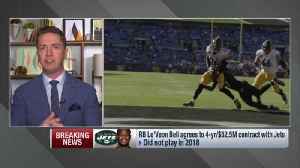 NFL Network Insider Ian Rapoport discusses New York Jets were "clear" frontrunners for running back Le'Veon Bell from the start. Could Ravens be an option for Le'Veon Bell? 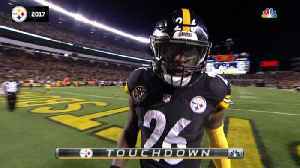 NFL Network Insider Ian Rapoport and NFL Network's Tom Pelissero discuss possible landing spots for Pittsburgh Steelers running back Le'Veon Bell. 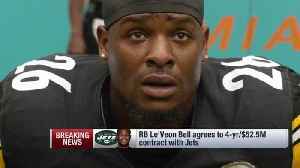 Could Le'Veon Bell Join Antonio Brown With the Raiders? Antonio Brown will not be the only star player to leave the Steelers this offseason as running Le'Veon Bell is on the free agent market. The MMQB's Andy Benoit joins SI Now to discuss if Bell could.. 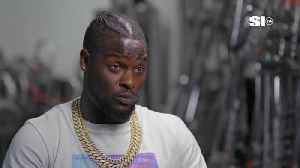 Remember when Le'Veon Bell posted one of his new rap vids, asked people what they thought about it ... and Keenan Allen hit him back with the brutal "this ain't it" response?? 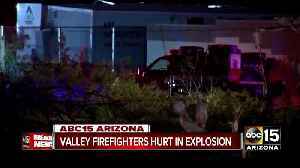 Well ... here's Bell's.. 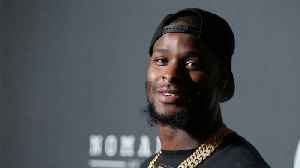 Le'Veon Bell wants to show off his love for the Jets wherever he goes ... repping his new team while performing at a nightclub over the weekend ... and TMZ Sports has the footage!! 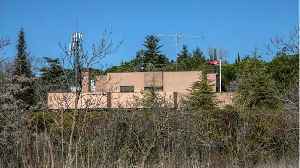 The $52.5 million..
FLORHAM PARK, N.J. (AP) — The New York Jets have signed former Baltimore and Green Bay running back Ty Montgomery, giving them some versatility and depth in the backfield behind Le’Veon Bell. The.. 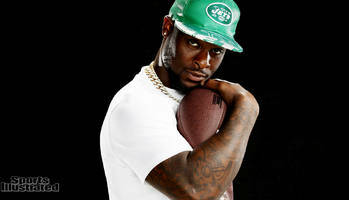 Le'Veon Bell is going to have a HUGE season for the New York Jets in 2019 ... and it's all 'cause he sat out last season -- so says NFL legend, Chris Johnson. 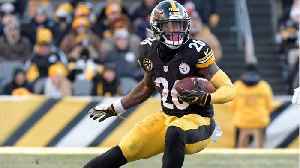 "He gave his body a rest," CJ2K tells TMZ..
Jamey Eisenberg gives you his Busts 1.0 for 2019, which includes mainstays Patrick Mahomes, Le'Veon Bell and Antonio Brown among others. 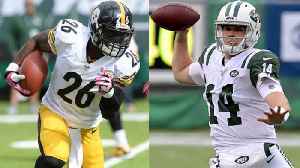 Sam Darnold has only seen video of Le'Veon Bell, but he's already imagined what it will be like to have him in the backfield after the Jets signed the two-time All-Pro to a four-year, $52.5 million..
“It should’ve been your real friends that said it tho,” the Pro Bowler added. 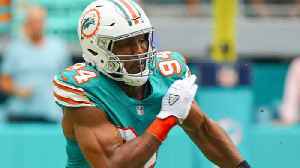 In Part 2 of our Fantasy notebook from the NFL's annual league meetings in Phoenix, Jamey Eisenberg dives into all the AFC teams, including updates on Le'Veon Bell, Melvin Gordon and Odell Beckham,.. Le'Veon Bell or Earl Thomas? Why was LeBron James told to 'shut up and dribble'? 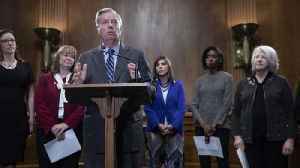 Professors help Arizona State students think through big topics. 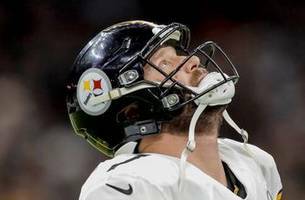 Amid heavy criticism from ex-teammates Antonio Brown and Le'Veon Bell, Ben Roethlisberger received some support from Steelers coach Mike Tomlin. PHOENIX - There is a lot to like about what the Jets have done this offseason, and the man who made the deals to bring in big-time players Le'Veon Bell, C.J. Mosley, Kelechi Osemele and Jamison Crowder.. Le'Veon Bell is going to help Jamison Crowder have a MONSTER season ... so says the wide receiver himself, who tells TMZ Sports he's going to be open A LOT 'cause of the RB. 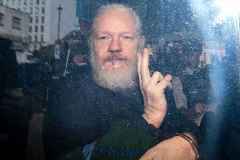 "He's going to definitely.. The Pittsburgh Steelers drama this offseason has been well documented, with Antonio Brown and Le'Veon Bell ultimately leaving the team. 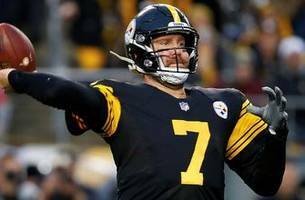 Hear why Colin Cowherd thinks QB Ben Roethlisberger is the one.. The Pittsburgh Steelers have gone through a lot of turnover after losing Antonio Brown and Le'Veon Bell during the offseason. However, Skip Bayless thinks that Ben Roethlisberger will have one his best..
Jamal Adams wasn't the only Jet to recruit Le'Veon Bell. Quarterback Sam Darnold also contacted Bell during free agency, and he helped get the playmaker in a Jets uniform. 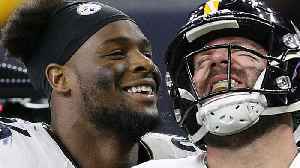 Le'Veon Bell, now a Jet, reflected on his time as a Steeler and told Sports Illustrated that his former quarterback, Ben Roethlisberger, "wants to win his way, and that's tough to play with." Le'Veon Bell sat out the entire 2018 season amidst holding out for a new contract. 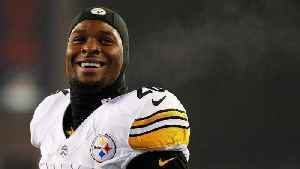 Le'Veon Bell was seeking a contract worth $15 million per year from the Steelers. 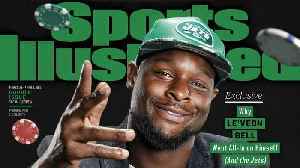 Le'Veon Bell sat down with the MMQB for an exclusive interview and opens up why he picked the Jets, what went wrong in Pittsburgh, and finding happiness. Bell said his initial plan was to only miss Week 1 before certain events led him to holding out the entire year.